Although designed and maintained to last, a lift ages due to its daily use, like all mechanical and automated means of transportation. To ensure safety, functionality and ultimately aesthetical aspects, it can go pass through different types of modernisation steps. As each lift installation has its own history, SODIMAS has built its experience to expand its range of solutions during more than 40 years in order to provide the best solution to every situation. The company carries out 3000 to 4000 modernisations a year on all types of devices. Since the introduction of the SAE law, SODIMAS has carried out between 6000 and 7000 modernisations. 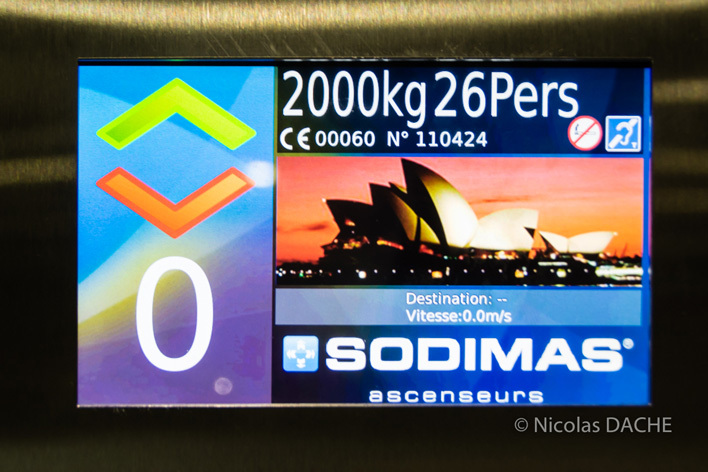 This Law relating to the Safety of Existing Lifts is derived from the French law "Urbanism and Habitat" n ° 2003-590 dated July 2nd, 2003 which identifies 17 major risks that must be resolved in order to guarantee an optimal level of safety. SODIMAS has chosen to create a dedicated business channel for modernisation projects and related services devoted to this field. Whether this be in the field of Research and Development, Design Office, Business Management, Logistics, Survey Assistants or the Technical Sales team your project will be studied, designed and created by qualified and specialist members of staff. 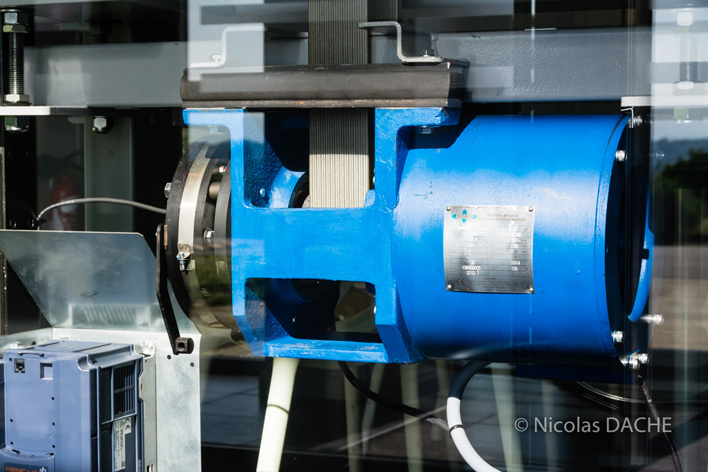 Innovation, technology surveillance and economic measures are an integral part of SODIMAS core criteria to remain the leading French manufacturer in this field in France and growing throughout the world. At SODIMAS, modernisations are based on solutions which comply with the latest standards, comfort and environmental energy saving features. Also your modernisations will benefit from the latest technology and improvements in the market. SODIMAS is also certified for traction lift modernisations of CE marked lifts with machine rooms. SODIMAS goes even further by offering you a sales service of components collating all SODIMAS parts but also an extensive catalogue of more than 15,000 references of other brands from the lift world. SODIMAS ensures the availability of lift parts by providing identical models or the replacement of parts sold due to the large amount of parts held in stock. 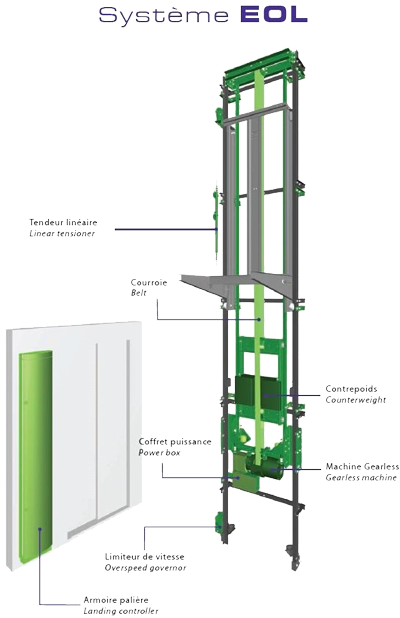 A step further than a partial modernisation, this solution brings you a sustainable development of your current lift installation whilst guaranteeing that all relevant safety points will be checked. 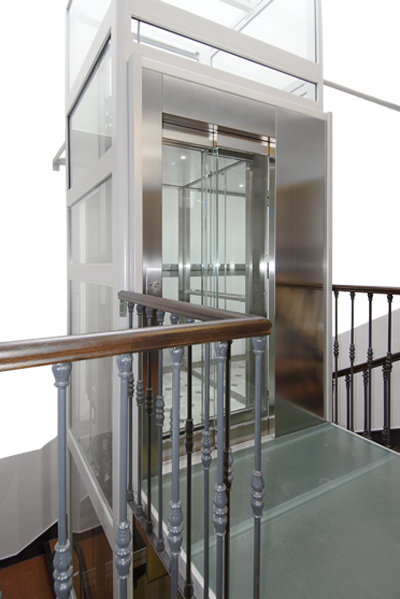 Furthermore, you will benefit from the guarantee of a new lift, improved comfort, running cost savings whilst complying will all relevant safety regulations and standards. 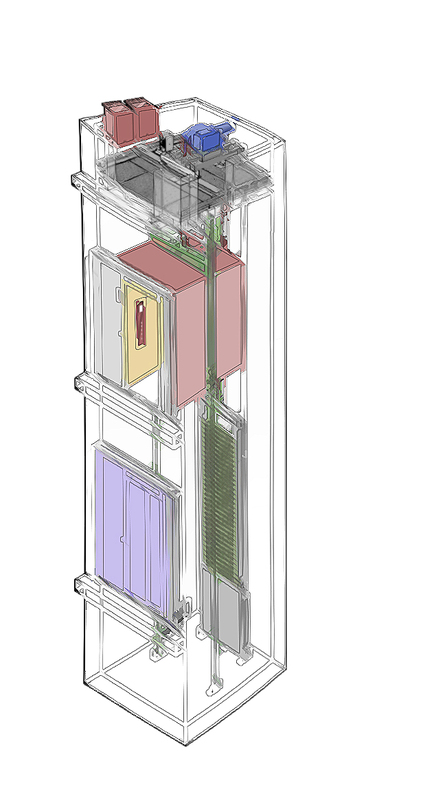 You want to preserve the essential elements of the current structure while making your lift installation comply to the current standards. To preserve the charm of metal structures from the beginning of the 20th century, the extensive work done by these craftsmen who opened the industrial path for modern lifts, SODIMAS proposes you the Great Century range. Provide these pieces of art the safety of modern components, add that touch of comfort and smoothness that only new technologies can guarantee. Thanks to a perfect knowledge base of these achievements and long-term historical understanding, we can guarantee you a result that maintains these all so aspects of our architecture. Each SODIMAS project perfectly integrates into the existing building´s architecture whilst offering the latest technology. A complete modernisation adds value to a building and it´s destined use whilst respecting the existing loadings. Each modernisation is subject to a full technical study using approved components from our product range. Your safety is at the forefront of our decision making to a final technical solution. SODIMAS offers new concepts to the market, notably the mutation of an existing hydraulic lift to a traction MRL (EOL). This allows the existing lift to gain in performance, endurance, safety and energy consumption levels. The EOL system allows the transformation of an existing hydraulic lift to an electric traction thanks to the latest technology used by new generations traction lifts. This transformation allows the owner of a building to gain back the motor room space as the new machine will be installed in the lift shaft. This will allow for future improvements in the building. The elimination of lubricants, the use of recyclable materials and the significant reduction in energy consumption are the main factors that allow the EOL, whist respecting environmental standards to actively contribute to a sustainable development of your lift project. The partial modernisation is ideal when there is a limited budget where only the minimum is changed. The introduction of safety upgrades, the desire to maintain and improve the up keeping of a building can also motivate this type of work. These transformations are divided into 4 groups, for which you are entitled to expect reliability, adaptability, technological improvements and respect for the environment. All of which are objectives perfectly fulfilled throughout SODIMAS partial modernisation solutions.